Eye Love Wednesday - waterproof liners from mark., Stila, CoverGirl and Buxom! mark. No Place To Run Waterproof Eyeliner - $10 - in 8 shades: Navy Seal, Vintage Khaki, Solar Power, Foxy Brown, Steely Gaze, Grassroots, Ultra Violet and Jet Set - with a long-wearing, super-smooth gliding waterproof formula. Stila Smudge Stick Waterproof Eye Liner - $26 - in 4 new shades: Deep Burgundy, Midnight Green, Metallic Umber and Damsel - a creamy mechanical liner that glides on smoothly with no tugging or pulling with a water-resistant formula that is long-wearing, transfer and fade proof. Once applied you get a bit of time to play with it but once it dries, it's not going anywhere! Available at Shoppers Drug Mart and Murale stores across Canada. CoverGirl Ink It! 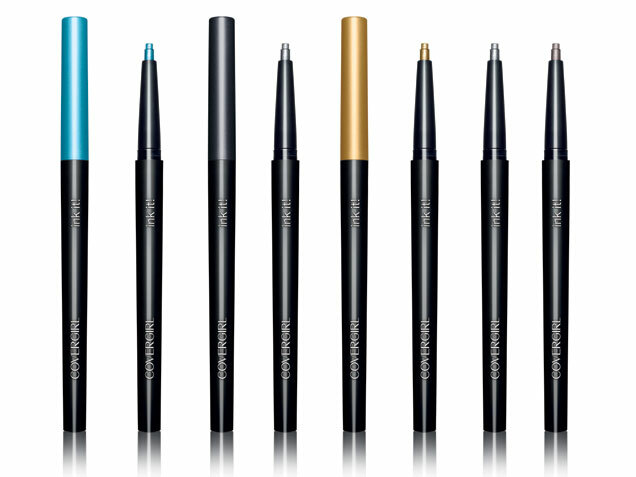 by Perfect Point Plus All-Day Eye Pencil - $9.99 - in 6 shades: Black Ink, Golden Ink, Aquamarine Ink, Charcoal Ink, Silver Ink, Cocoa Ink - offers self-sharpening, pen-like precision with intense colour payoff that offers long wearing, long lasting, fade and crease free colour for up to 12 hours. 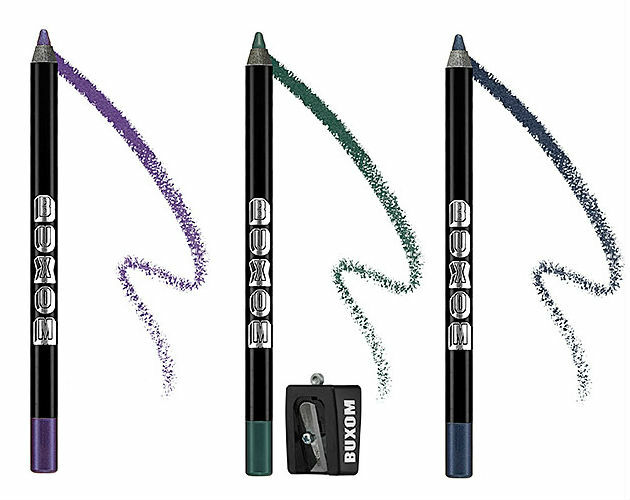 Buxom Hold The Line Waterproof Eyeliner - $20 - in 8 shades: Ring My Bell - emerald green, Pick Me Up - sparkling denim blue, Door's Unlocked - metallic purple, I'll Be Waiting - sparkling gunmetal gray, Knock Twice - metallic deep champagne, Here's My Number - dark chocolate, Come Over - sparkling bronze, Call Me - jet black - a high-performance, waterproof pencil that glides on like a gel without tugging or breaking and gives you time to blend before setting in place and lasts up to 14 hours. Also includes a sharpener with every pencil.